Location: Newcastle upon Tyne, Tyne and Wear, UK. I think the backplate and retaining ring may be missing or some other arrangment for holding it together. 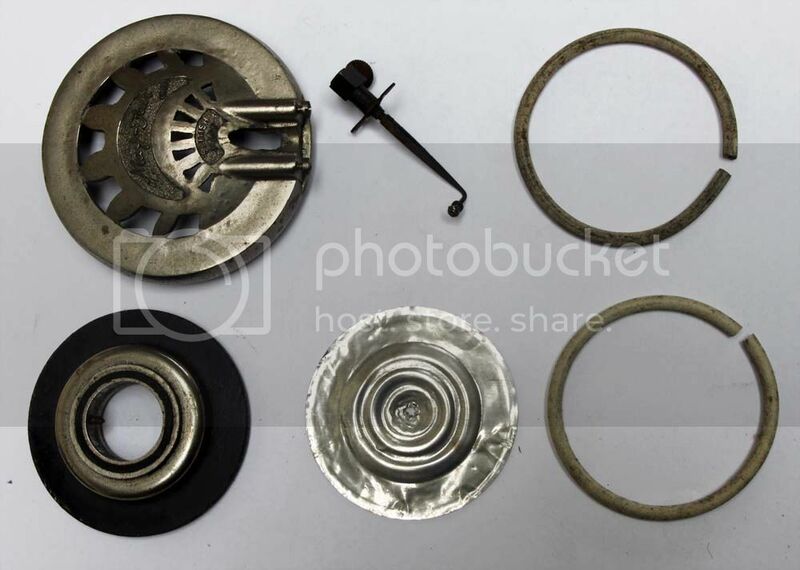 Does anybody know where I could get hold of these parts? The links in you post don't work. All you have to do is paste the contents of the address bar into your post and the forum software will do the rest. That doesn't work for me and gives a photo bucket error message. Worked for me - image below. Could be browser dependent. This is what I get using Microsoft Edge. Works for me, and the first thing I notice is that you need a new metal diaphragm, the hole in the centre is too big to attach the needle bar to. What I can't understand is how the back plate attaches to the front. Are there any screw holes in either? If this is not repairable where could I get a decent replacement?